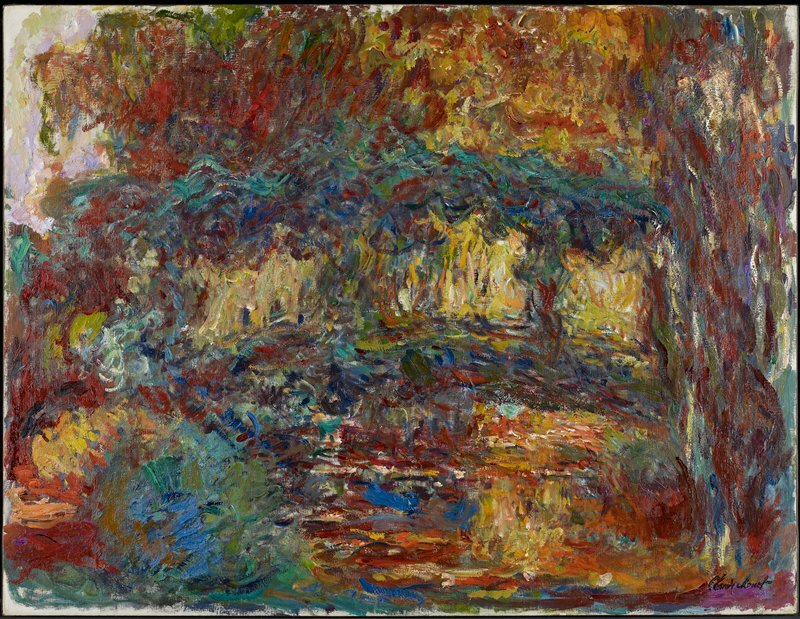 In 1883, Claude Monet moved to Giverny, about forty miles northwest of Paris. For the rest of his life, he devoted himself to painting and tending his gardens, which included the Japanese footbridge in this picture. His style became more expressive as he piled thick pigments layer upon layer in ever more intense colors that often didn’t correspond to reality (possibly because his eyesight was failing). Giving up any desire to record minute details, he wove tangled skeins of paint with bold strokes, seeming more concerned with nature’s mysteries than with mere appearance.